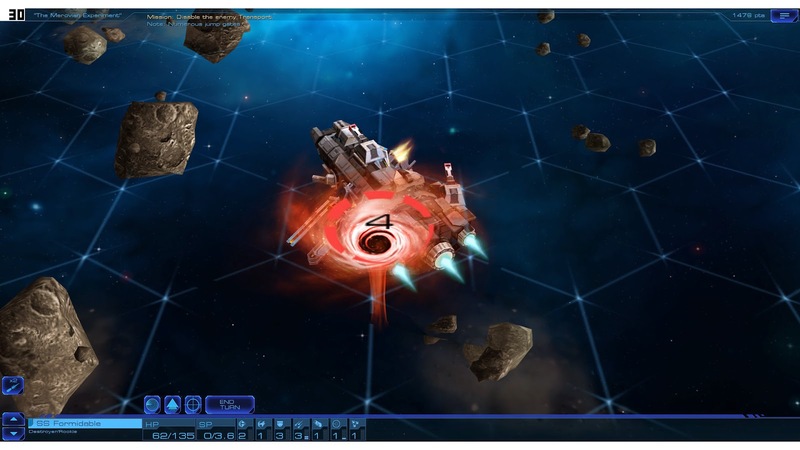 At a glance, one could view Sid Meier’s Starships as the confluence of Firaxis’ proven design techniques; there are tactical and strategic layers like in XCOM: Enemy Unknown, with the tactical turn based battles utilising line of sight and cover mechanics, merged with the hexes and expansion of Civilization. Truly an exciting prospect, but of course, this fails to take into account the effect that developing for mobile can have. Let’s begin with the strategic layer, you are the admiral - or commander, depending on who you ask - tasked with travelling the stars in search of other human colonies. Before you begin your journey you select an affinity; Purity, Supremacy, and Harmony, as well as a faction leader, both the affinities and characters were first introduced in Civilization: Beyond Earth. 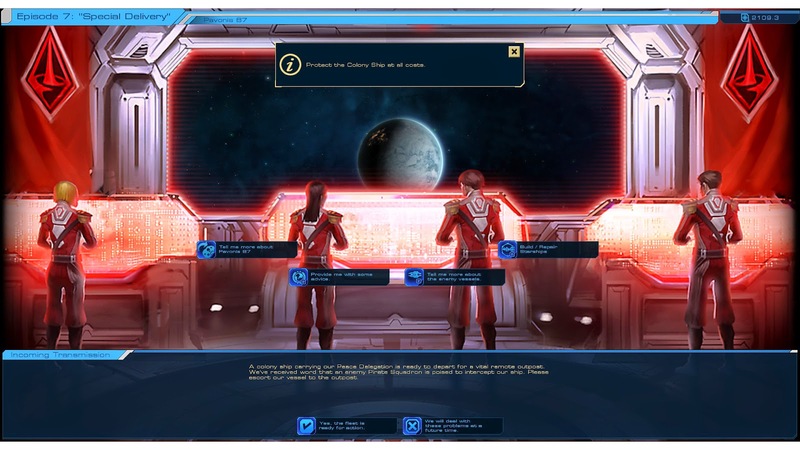 Just like Civilization, these choices grant advantages to your faction, for example; Harmony ships repair at half the cost, and playing as the character Sochua instantly upgrades two random technologies. While in the strategic layer you build on planets, you create cities to increase population, and construct improvements to generate more resources. Resources are those found in Civilization; energy, metals, food, science, and credits, though they are less of a pool of resources and more raw currency. Energy is used to upgrade ships, science to improve technologies, and so on. Planets also grants a wonder, one per planet, some them are hugely powerful. One such wonder I encountered was ‘Tight Squeeze’, which allowed my squadrons of fighter ships to move through small asteroids. I don't quite understand how that is a thing that can be built, but there you go. There are eight technologies that you can pump science into, you don’t discover any, you just increase their potency. The technologies just improve the areas of your ships, like laser damage, or sensor effectiveness. The art is more interesting than the mission design. Starships throws around the lingo and the imagery of a Civilization game, but it is merely a facade. You don’t really capture or discover anything, you meet other strands of humanity and win them over through shore leave, or by shooting things in orbit above their planet. You control one fleet, and how far it can move per turn is dictated by crew moral, which decreases with every action. Despite being distant strands of humanity, that have had countless years to develop in isolation, every planet is basically the same. Individual streets on a Monopoly board have more character than the independent planets, or even the other civilizations in Starships. The ship-on-ship battles of Starships are small encounters, which have in my experience usually not lasted more than a minute or two. 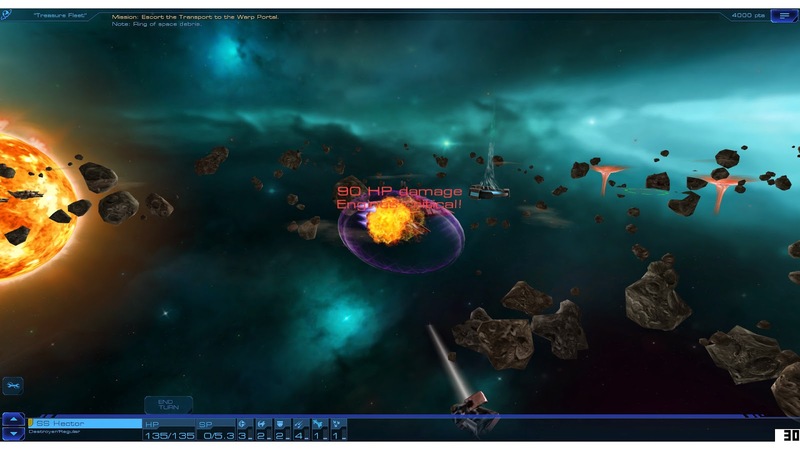 You move your fleet between asteroids or through jumpgates, trading shots of laser fire, or letting off torpedoes. There are abilities such as stealth cloaking, and active sensors, which were never essential. I played on the normal difficulty and the whole combat loop felt intangible, squishy. 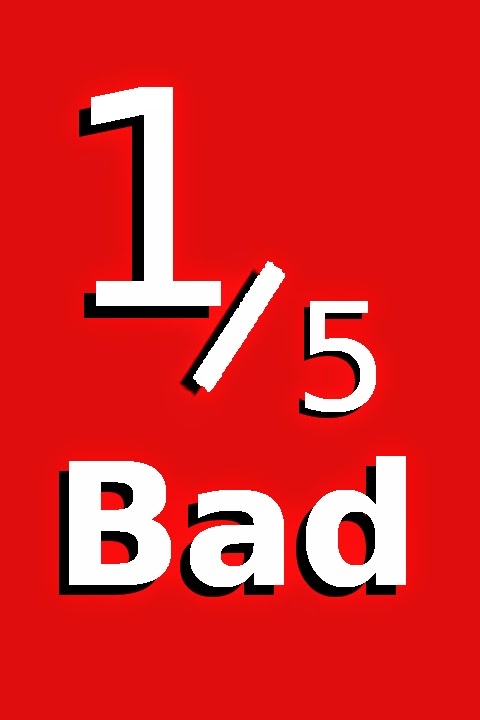 Hard numbers and percentages are surfaced, but they are largely superfluous. I would describe the missions as ‘bite-sized’ but I feel that implies some level of positive experience. When in reality, the missions feel so drab and uninspired, that I quickly stopped caring about positioning and strategy at all; my moves became dictated by the drive complete the rote objective in the hope something more standout would appear deeper in. Appear it did not. The missions you undertake above planets fall into a few categories, none of them particularly interesting. These include; defeating the enemy ships - sometimes just one specific ship, capturing and holding a single hex, or moving a ship to a warp portal. Some excursions I've finished in my second turn - the time taken to fire and detonate a torpedo. Perhaps the most divergent mission I encountered involved flying a lone ship through an asteroid field with low visibility. On paper it seems relatively exciting, but in the actual mission there’s no risk what so ever. The low visibility simply means you cannot see anything more than a few hexes away. Rather than using a traditional fog of war, the map is just left blank, but you can still see the skybox behind, it looks dumb. More to the point it’s turn based, so while asteroids can drift and potentially be a hazard, you know where they can appear, so just don’t leave your ship on one of the marked hexes. This reduces the mission to an end-turn click-fest, as you tediously advance a hex or two towards the escape point. This lack of risk is quite pervasive, the only permanent way of losing a ship is if you decide to scuttle it, they are not destroyed in battle. The best reason I can find for doing this, is if you don’t like its name - you cannot name them yourself. In theory you could build a ship poorly and want to scrap it, but just sink some money (energy in fact) into the areas of weakness to balance it out. The ships of your fleet are modular; adding armour will slap additional plates on to the ship model. It’s a cool idea but in practice my ships just resemble glowing chunks of metal, they don’t look visually distinct. I can see from the numbers that a ship has three armour and two shields, but for all intents and purposes it’s just like any other. Were the ships treated like soldiers in XCOM; mortals who I could develop and care for, I might have feel some connection to them, instead I don't recall the names, nor could I discern one from another. Much like Beyond Earth, Starships add a pinch of narrative, but make no mistake it is only a pinch, a mere sentence of setup to add some context to a mission. A mission objective may be to destroy a pirate dreadnought, throw the name of a planet you are near in there and that’s pretty much the extent of the writing. It is nowhere near as deep as Beyond Earth’s branching quests, which enfolded over many turns. However, the writing is present in each engagement. I feel it bares stating that I played and reviewed the PC release of this game, the game released day and date on iOS (as well as Mac). Knowing this makes explaining the clunky, and ugly user interface much easier - explaining, not excusing. The text is perhaps the most obvious place to begin, there are large portions of the screen which contain text, yet the text within is small. Which isn’t helped by the reedy font, that’s for sure. The colours of the text, as well as the boxes and lines that make up the framework of the interface, is wildly inconsistent, appearing messy to say the least. There are very few systems at play in Starships, so it is rather surprising that the interface is so rough. It’s nature as a touch-screen mobile game is betrayed the instant you can click and drag elements of the interface, on the ship upgrade screen. Furthermore, it is presented without any context change to the mouse or interface itself. It may seem like a small niggle, but graphical user interface designers solved the issue of letting the user know what they can interact with years ago, encountering such issues here is virtually unbelievable. Clicking a planet to present construction options is somewhat more acceptable, but all too often it sends my lone fleet drifting across the map, wasting a move. While it would likely be fine on a touch-screen, or perhaps even using a controller (the game doesn’t support gamepads), it is not ideal for a mouse and keyboard setup. It is kind of ridiculous that in a game as simple and system-starved as this one, that merely interacting with what is there is so troublesome. I didn't know it was possible to clip so horribly in a tile-based game. Starships' shoddy appearance extends far further than its text and menus, just about all of the game looks kind of slapdash. Ship models are not detailed, some of the effects look maybe a decade out of date, and the whole package looks low resolution and filled with jaggy edges. I play everything on a 1080p monitor - which I wouldn’t call exotic by any stretch of the imagination - and even when set to fullscreen, my task bar is visible. 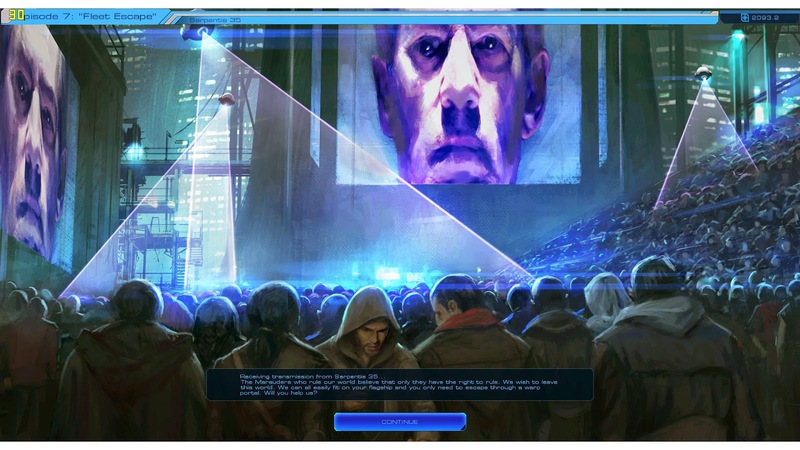 Most egregious is the concept art which accompanies the missions and some of the menus. They are fine drawings, often hinting at far more interesting events than the missions you are loading into, but they were evidently not meant to be blown up to the full size of a 1080p monitor. Some of the drawings look as crisp as you would expect, but many more are startlingly pixelated. The artistic style, in the vein of Beyond Earth, isn’t strong enough to make up the difference either. The star-travelling concept of Starships is a thrilling one; jumping from planet to planet, encountering all manner of wonder and adversary, but in practice Starships makes good on none of this. Neither of the layers, tactical or strategic, are remotely interesting or challenging to play. The tactical battles barely require thought, being able to regularly complete missions in two turns isn’t empowering or satisfying, its pitiful. The strategic, planet developing portion of the game feels completely redundant. There is no sense of consequence or risk to any part of the gameplay of Starships. The game can be shockingly ugly at times, the clunky interface feels patched together and largely unsuited for a mouse and keyboard interface. I don’t feel Sid Meier’s Starships was worth the time I spent playing it, let alone the money.